I have a large group of clients with OVER $10,000,000 to spend on art! I BUY ALL OVER THE NATION! Most pieces sold in 24-48 hours! My clients do not buy at auction, and only buy pieces that have not been exposed or shopped around. 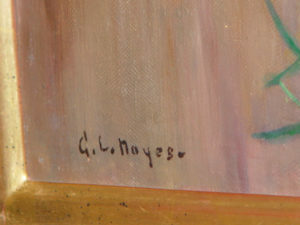 I have sold pieces for over $100,000 and am currently negotiating a couple of million dollar pieces. My buyers are from all over the U.S. and parts of Europe, and are serious purchasers. Payment is made using either Paypal, Bank Check, Bank Wire, or in certain cases CASH. There is no risk and I can provide a complete list of references! All Art is transported through FEDEX, Craters and Freighters or mutually agreed upon methods. You are paid first before any art is shipped. Anything from a cruise line, sold in a hotel lobby. from TV auction (such as Global Fine Art) or by the artists listed below, as they have little resale value and are best sold on ebay. anything from Park West Gallery. I CAN NOT AND DO NOT HELP ARTISTS SELL THEIR PIECES! If you are an artist and want to sell your pieces, I can not assist you in valuing your art or in selling it. My clients have NO INTEREST – I can not assist!!!! What if I get the information and I want to sell it at auction or to another person? I do not pressure people to sell me art, I actively buy art, but I do not make a living by it, you are free to sell to whomever you want. I have an active roster of clients who will purchase, or you can find one on your own, sell to a dealer or try the auction route. I would not suggest Ebay, unless piece has little value. I only charge for a written appraisal of your artwork. 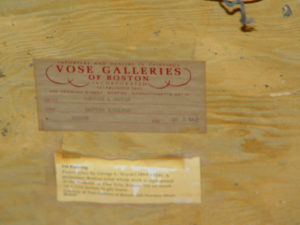 You would only need this if you are going to insure your art or to help in settling an estate. To do this I must actually see the high resolution photos of the piece, examine and document before I can give a written appraisal. 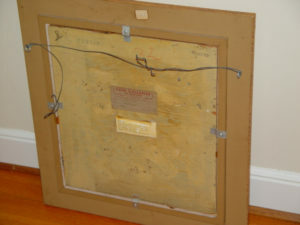 l would only advise getting a written appraisal if your artwork has significant value, such as over $5000.00. Because I do this as a second job and I love art and get to see all types this way. I make my money selling it to my clients, and I sell a lot, over a million a year. I will provide you with the same data the dealers use, for FREE! Don’t let them have the upper hand on you, knowledge is power. My main business is as Director of Operations of a successful marketing company that links colleges and high school counselors together (I started the company over 24 years ago). 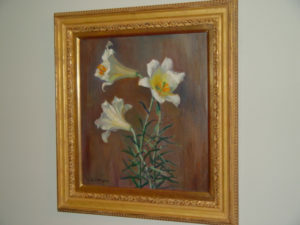 I have been buying, selling and appraising art for over 20 years. I provide this service FREE and only make money if I sell a piece to one of my clients. I charge 10% to the buyer, there is no fee to the seller. I do this to fund my art addiction, there is no risk and you do not have to take advantage of my ability to sell your artwork to get a free appraisal. www.highschoolcounselormarketing.com – My main businesses. I can also do insurance appraisals, and that is the only service for which I charge a fee. 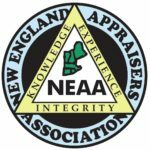 I am a member of the New England Appraisers Association and normally do not suggest getting an insurance appraisal if your item is worth less than $5,000 as it will already be covered by your homeowners. I have been doing complete estate appraisals locally for many years, for attorneys and estates. and most other items of value. Please send me the name of the artist, the size of the piece (do not include the frame in the size) as well as pictures of the front back and the signature any labels on piece, and your telephone number. I will get the information back to you within 24 hours or less, but usually within a couple of hours. Want to sell you art? I have helped people sell over $2,000,000 in art over the last 20 months. Artwork sold in 24-48 hours!